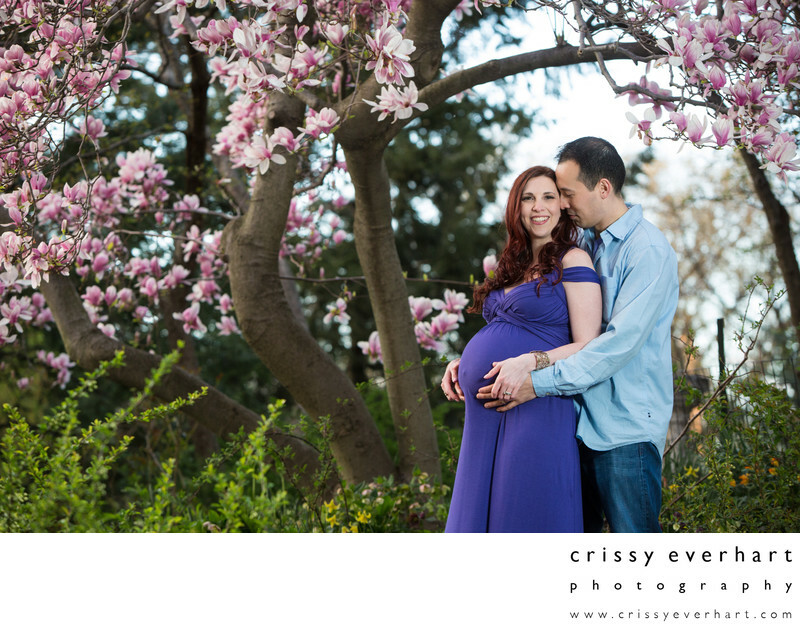 Colorful flowers frame this adorable couple in Central Park during their spring pregnancy session. Amanda wore a gorgeous purple dress which not only provided a pop of color, but showed off that baby bump! The pink flowers, green bushes, purple dress and blue shirt create a springtime color palette and the couple is framed by the tree branches. Location: West Side between 79th and 80th Streets, New York, NY 10024.